Announced today, Sprint is teaming up with Boingo, the WiFi hotspot provider you have probably paid plenty of money to if you are a frequent flyer. Based out of most major US airports, Boingo offers Internet access for those willing to pay at select airports. In this new partnership, Sprint customers can access Boingo hotspots for absolutely free in 35 major US airports. I won’t name them all, but a few of the top airports include JFK, BOS, BUF, DAL, LAX, LGA, MDW, MEM, MIA, and ORD. If you don’t see your airport listed, it is likely that WiFi is offered free of charge there, such as it is at PDX and SFO. Sprint customers don’t need to pay or do anything to connect, as the WiFi connection will be automatic for devices that are capable. Sprint devices within proximity of a Boingo hotspot can automatically connect to the Wi-Fi network seamlessly, providing service at the fastest speeds available, be that cellular from Sprint or Wi-Fi from Boingo. The auto-authenticating Wi-Fi connections are available at no additional charge to all Sprint customers with capable devices, and usage while connected to Wi-Fi does not count towards a customer’s monthly service plan. Sprint and Boingo conducted successful market trials with millions of Sprint handsets, which demonstrated the consumer benefits of effortless authentication onto Boingo’s network. 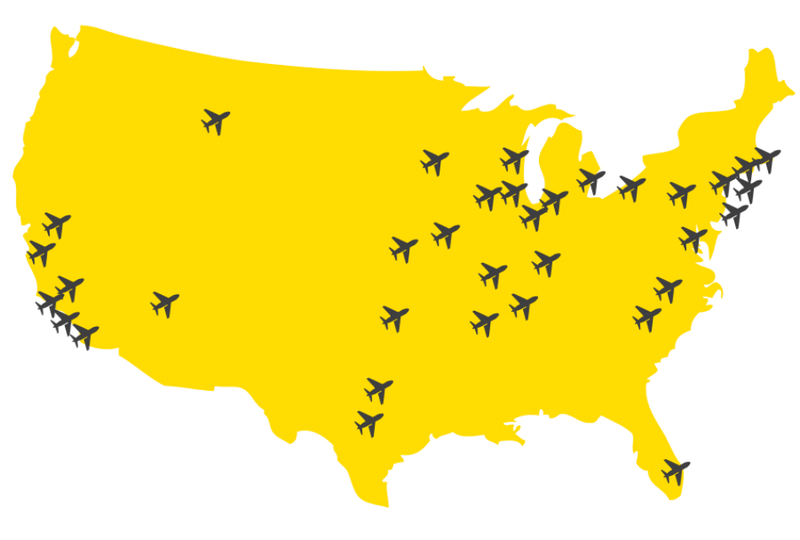 To view the full list of airports supported, click here.